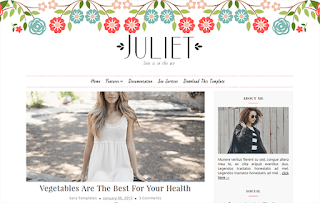 Juliet Minimal Blogger Template is a minimal free blog theme for Blogger. A fresh style, light colors and organized view. Those are what Juliet brings to you. Decoration, travel, design ideas, daily notes, or whatever you like to create a blog about needs efficient usage for both of you and your visitors. That’s why we love to keep the things simple.